The state government's bid to build satellite townships in Asansol-Durgapur, Bolpur, Siliguri, Kalyani, Kamalgazi (Kolkata) and Gazoldoba (Malda) was swamped by criticism on the social media over reports in some sections of the media that towns and cities were being renamed. On Thursday evening, chief minister Mamata Banerjee had named these satellite townships in her usual hurried style, without clarifying that it wasn't the towns she was re-naming but the townships. It was picked up by a news agency and then by some media houses and it seemed as if Siliguri was being renamed Teesta, Bolpur as Gita Bitan and Garia, a locality in south Kolkata, as Uttam City (after Tollywood legend Uttam Kumar). The renaming triggered a wave of criticism on Facebook and Twitter and Trinamool, which prides itself on its social media penetration, was caught napping. "Please tell me this is just a joke. I don't believe this," posted an NRI from China. While some called it "needless poriborton", hundreds chipped in with "suggestions" on how rename various places across the state. Salt Lake could be renamed 'Nonapukur', said one. Lake Town could now be christened 'Hrad Shahar' while Nagerbazar could be 'Serpent Town' said another post. A post doing rounds in Facebook was plain sarcasm. "Siliguri to be called Teesta. Teesta to be called Kumropotash. Kumropotash to be called Bogol. Bogol to be called Bolpur. Bolpur to be called Gitobitan. Gitobitan to be called Hamaguri. Hamaguri to be called Siliguri. "Madam, BJP will have no ideas where their rallies actually are. Yes. Next week we change all again. Deb? Dance," it read. Intriguingly, the cabinet note on December 13, 2014 which paved way for the townships had a different set of names. "While the city developed by BAPL at Andal will be known as 'Golden City' and the City at Bantala as 'Sector-VI', Durgapur will be known as 'Silver City', Bolpur as 'Nobel City', Kalyani as 'Knowledge City' and Siliguri as 'Sunrise City," state's urban development minister Firhad Hakim had said then. Poet Nirendranath Chakrabarty, feels, "Local people should always be consulted and their opinion given importance while naming a township. It should never be imposed from Kolkata." Given her love for renaming anything from Metro stations to tourist spots and elephant cubs, Mamata named these townships. "The one at Asansol-Durgapur will be named 'Agnibina', Bolpur 'Geetabitan', Siliguri 'Teesta', Kalyani 'Samriddha', Kamalgazi (Garia) 'Uttam City' and Gazoldoba 'Mukta Tirtha'. The site for another city (read township), christened Biswa Bangla, is to be decided soon. The cities (townships, again) will have hospitals, sports complexes and all other modern facilities," the release said. Mamata's fascination for Uttam Kumar has led her to rename Tollygunge Metro station after the yesteryear star. Author Sirshendu Mukhopadhyay said, "The new names are not bad. They seem to reflect the history and tradition of Bengal. Often, the existing names are not good enough to be used for a new township. So, naming them afresh is not a bad idea." This initiative, Hakim clarified, is separate from the state joining hands with Kolkata builders led by The Confederation of Real Estate Developers' Association of India - Bengal (Credai-Bengal) to develop some four-to-five mini satellite townships covering 500-1,000 acres in and around the city and within the state. "These will be completely private enterprises," the minister said. Hakim stressed that satellite townships is imperative to decongest the pressure on Kolkata. SOMEONE PLEASE RENAME Mamata NOW!!! High Time!! Well, Mamata Banerjee anagrams to "A jab at me? Rename!" 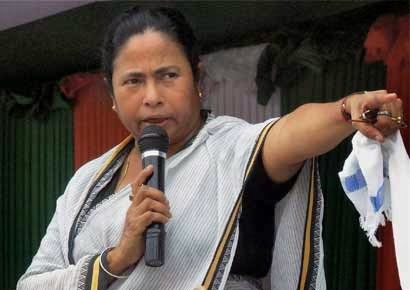 Mamata Banerjee set to rename 6 Bengal cities. Should citizens have a say in changing the names of their cities ? So now I stay in "Uttam City". Have to change my CV all over again in all the job portals. "Please tell me this is just a joke. I don't believe this,"